The Entry Criteria is a predefined group of conditions that are going to be used as a mechanism for the process control, in order to determine the cost-effectiveness of starting that process. 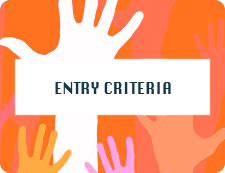 You need to make sure that the entry criteria has high-quality standards. This will make sure that you won't let any "garbage" enter into your process. This may include inadequate levels of prior work or poor quality specifications, for example. The entry criteria should be always used as a preventive tool and they should be defined before the process starts.